Using the EPA Combined City/Highway fuel mileage ratings to pick a new car could undervalue electric vehicles’ (EVs’) fuel savings for those that would benefit the most from switching to an EV. Accurately estimating an EVs fuel savings requires a more nuanced assessment of how the car will actually be used. The more you drive an EV, the more you save? Maybe. State-level variations in the average distance driven each year affect the relative annual fuel cost for electric vehicles and internal combustion engines. Variations in state-level electricity and gasoline costs can dramatically shift the relative fuel cost per mile for electric vehicles and internal combustion engines. 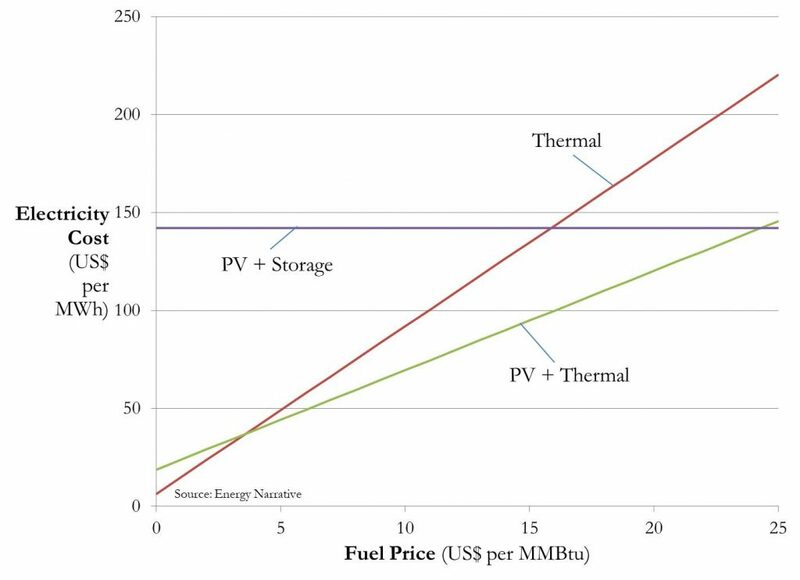 Energy Narrative has developed a set of graphics to visualize and compare fuel costs for electric vehicles and internal combustion engines over the vehicle’s lifetime. Political risks to upstream oil development are currently in the spotlight, but pressure is also building behind longer-term market risks. 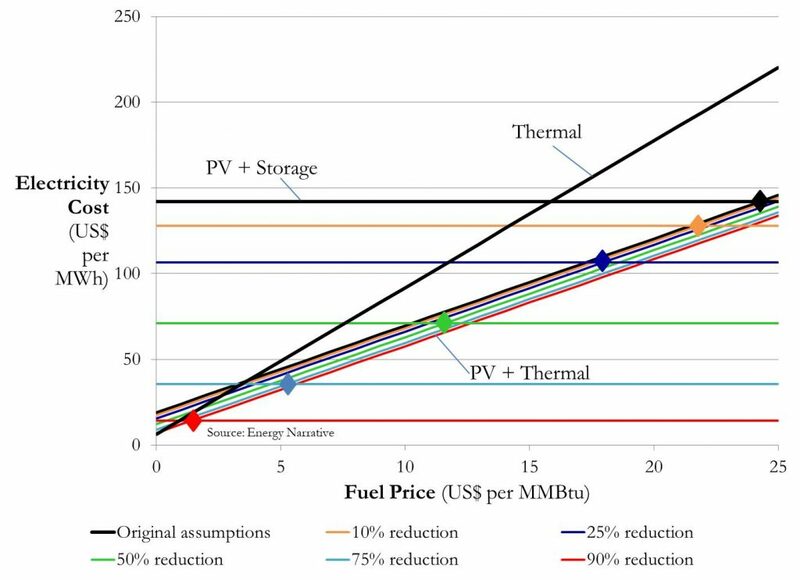 Electricity storage costs have to come way down to be competitive with thermal power. 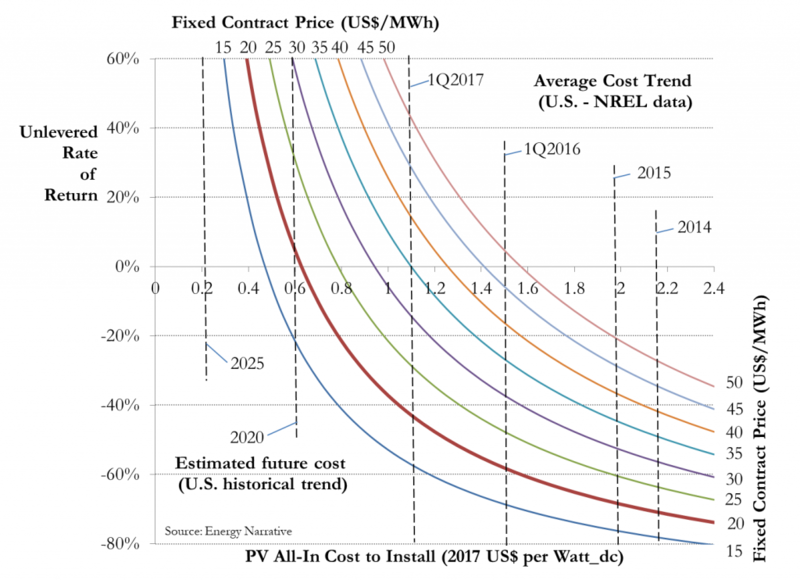 What does it cost to firm up solar power? 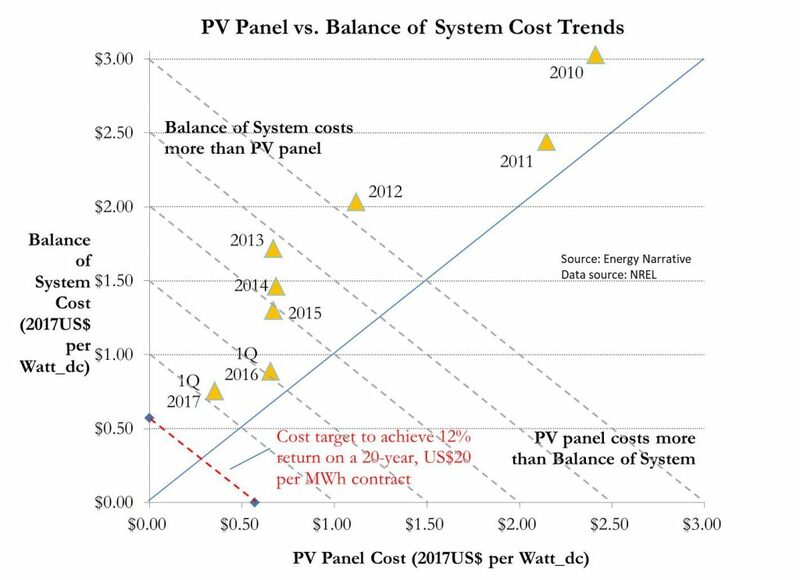 How must PV panel and balance of system costs decline in order to deliver 2 cent per kWh? Can developers deliver the roughly 2 cent per kWh PV projects that they bid in auctions in Mexico, Saudi Arabia, and Chile late last year? Is 2 cent a kWh solar power real? An overview of Caribbean electricity demand trends and drivers for new power project development, presented at the 18th annual Platts Caribbean Energy Conference. 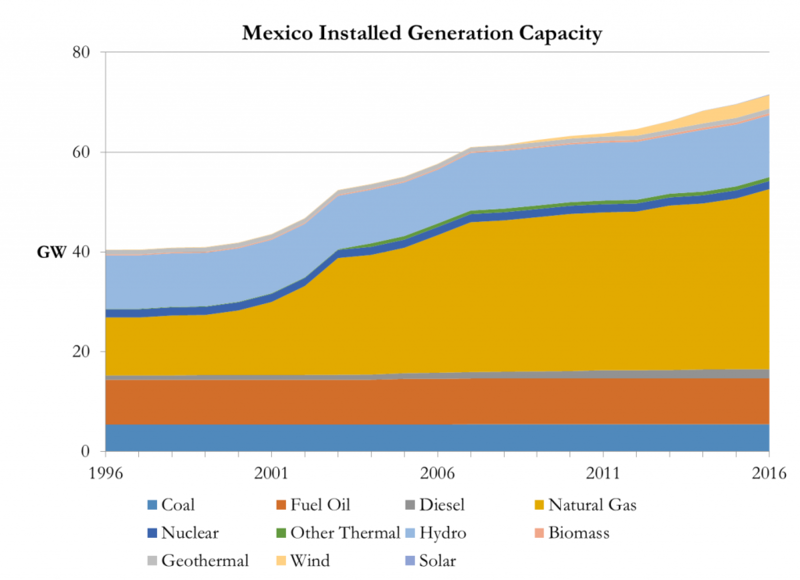 Mexico’s electricity sector has been dramatically “decarbonized” over the past decade. 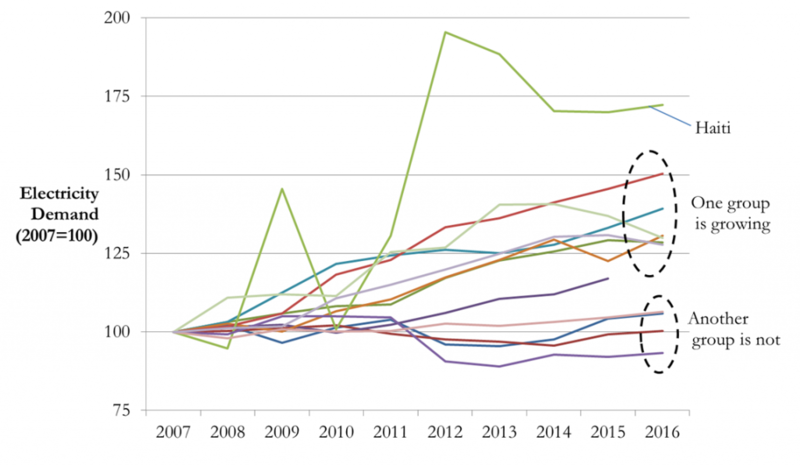 Looking forward, watch the pace of new solar PV additions, the natural gas sector’s ability to balance intermittent renewable sources, and the growing role for energy storage. Mexico’s first auction for long-term power contracts successfully attracted a large number of participants and highly competitive bids. The strong results will help establish the new market’s credentials and solidify the reforms that have been enacted to date. A report for the Inter-American Dialogue and supported by CAF-Development Bank to Latin America, on the potential environmental risks of shale development and strategies for mitigating those risks. Mexico’s Round 1.4 faces competition now that the sanctions to Iran’s nuclear program are lifted and Iran reopened to international investment. 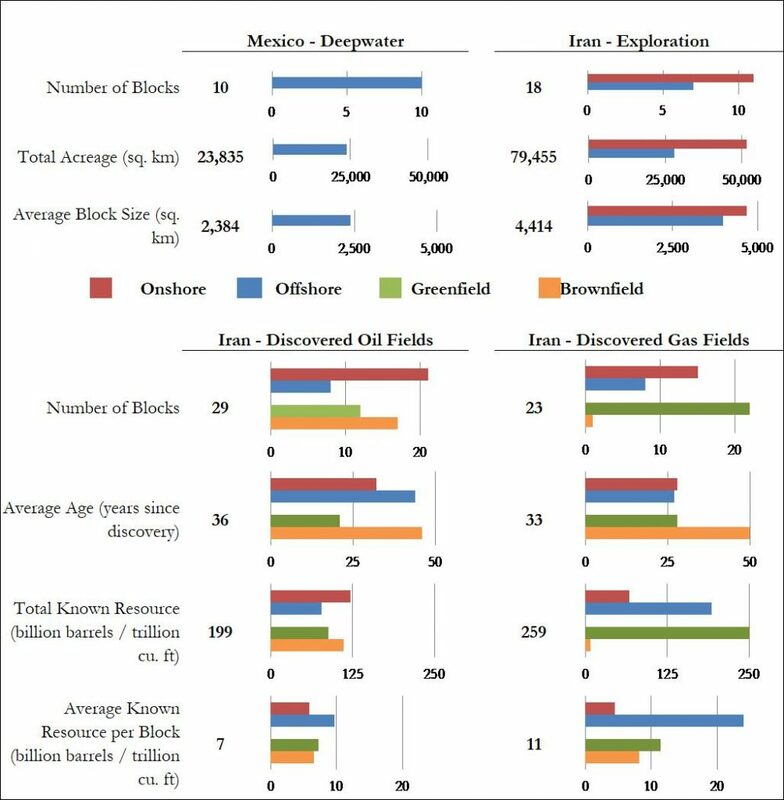 This study compares Iran and Mexico’s upstream tenders, including the physical assets, the political and geopolitical factors, and the proposed contractual terms. 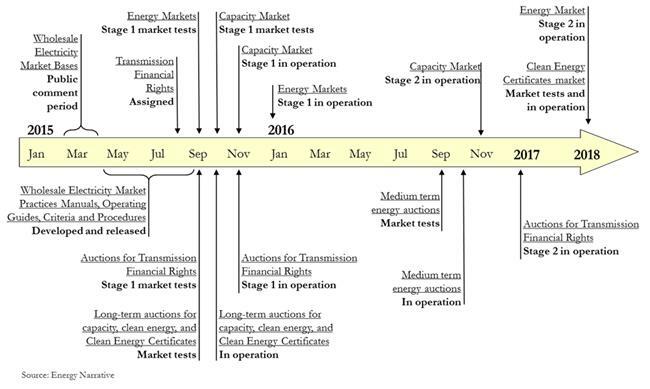 The publication of the Practice Manual for Long-Term Auctions set the tone for Mexico’s first auction under the new electricity market. 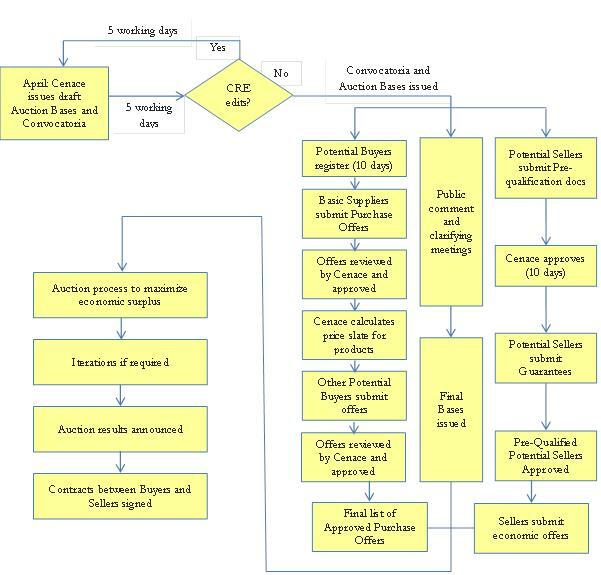 The auction structure showed the complexity of managing an advanced market system and multiple constraints on auction participants. 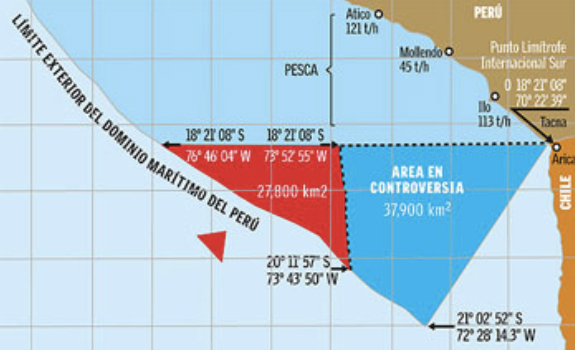 Mexico’s Round 1.2 tender awarded three of the five blocks on offer at a substantial premium to the minimum acceptable bid. Although each new round is a new experience, some conclusions can be inferred from the results to prepare for the next tenders. 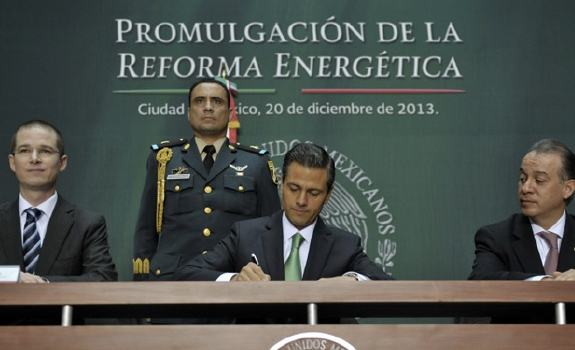 On September 8, 2015, SENER published the final version of the Electricity Market Bases in Mexico’s Federal Register. This study examines the changes made from the initial draft and the implications for Mexico’s electricity sector. 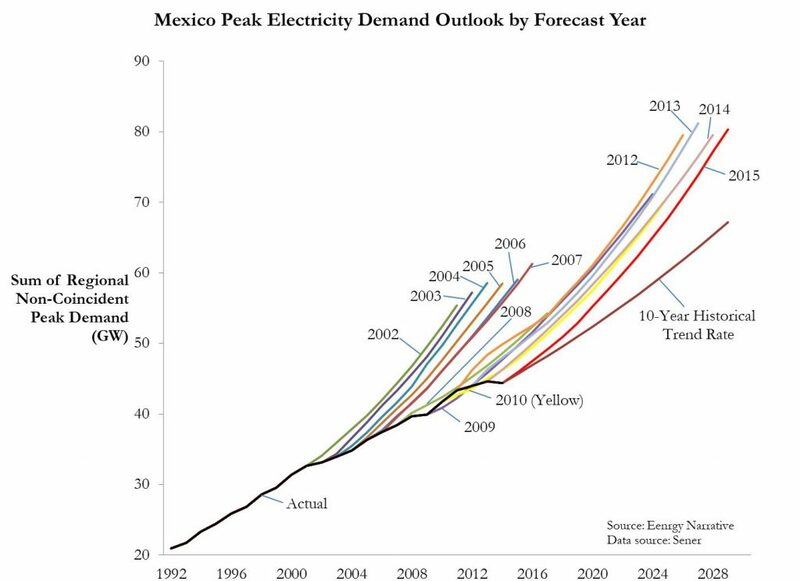 Official projections persistently overestimate Mexico’s electricity demand growth. This study explores the resulting overbuild of new power generation capacity and the impact on power plant and natural gas pipeline developers. Uncertainty and pessimism surround Mexico’s upstream opening, but that may be a good sign for investors as fewer companies compete for the blocks that are offered. 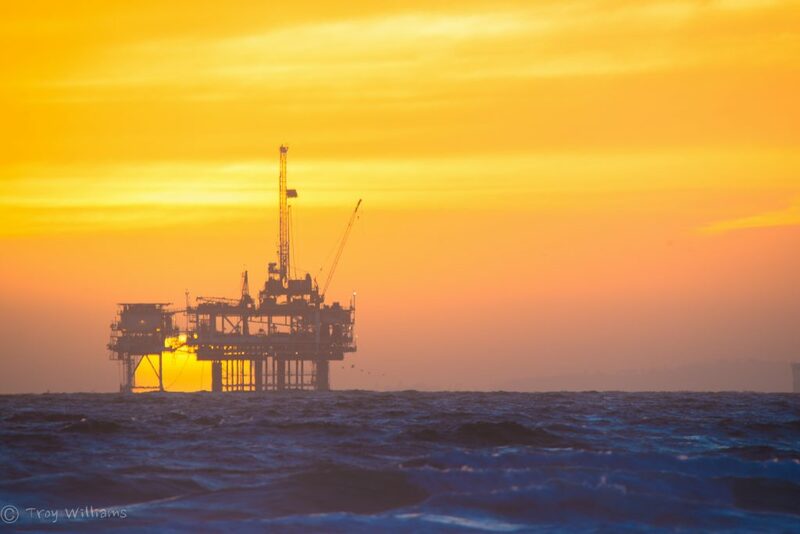 This study examines the government’s perspective and the private sector angle going into Mexico’s first upstream oil auction. 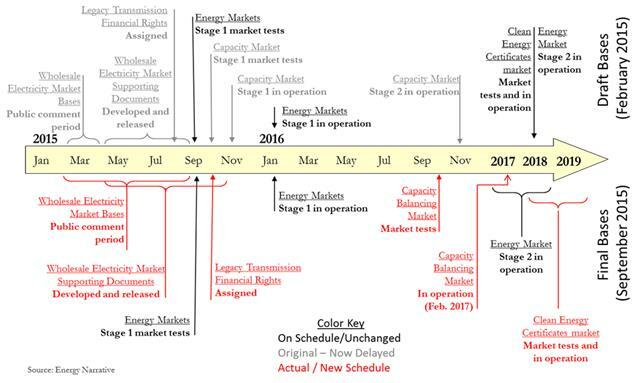 The Energy Ministry published the first draft of the Electricity Market Bases, providing greater detail on the design and operation of various electricity markets and the implementation timeline. This report includes Energy Narrative’s initial observations on the draft, highlighting the implications for Mexico’s electricity sector. 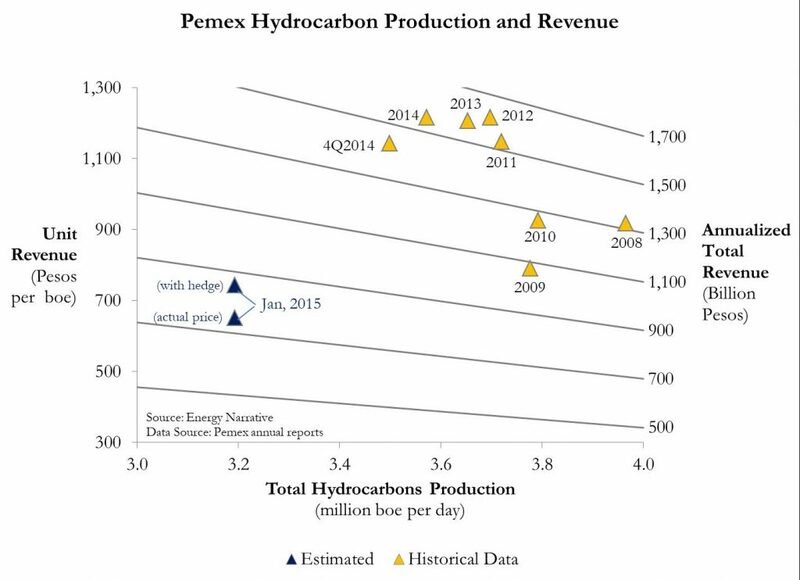 Mexico and Pemex are under pressure from low oil prices and a decline in oil production. This study examines the impact of Pemex’s budget cuts on the company’s personnel structure, future projects, and Mexico’s energy reforms. Repowering thermal power plants and switching to fuels with a lower carbon content may provide lower cost carbon emissions abatement, particularly if the cost of new transmission lines is considered. Over the past seven years the United States has transformed from a net energy importer to a net energy exporter to Latin America, bringing significant long-term implications for hemispheric energy relations. Affluent societies tend to resist expanding the energy supply upon which their affluence is based. This paradox of progress affects even the greenest of new energy projects.